C is the next stop on my Christmas watches A through Z tour. It can be hard to imagine buying someone a Casio watch for Christmas. The company was built on cheap little digital watches. But, today, Casio is a watch world powerhouse with premium watches for everyone. The big choice for today's Casio buyer is between analog, digital, or ana-digital watches. The company is known for it's G-Shock series of ruggedized digital watches. 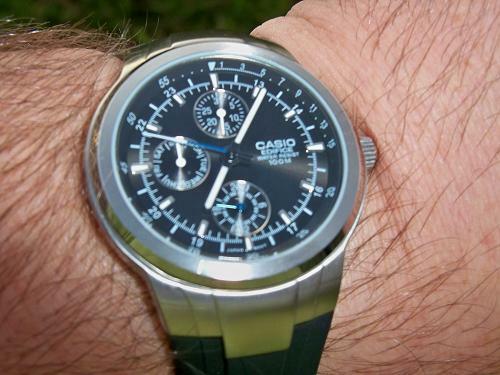 Now, Casio is also known for advanced analog watches marketed under their Edifice model line. 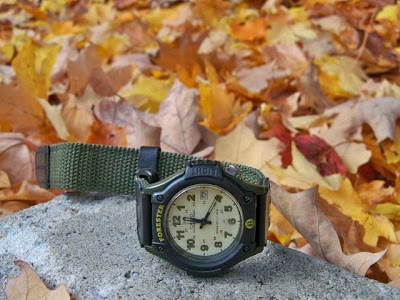 Casio also has many watches that can take the wearer off the beaten path. I like CASIO Men's FT500WVB-5BV Forester Sport Watch as an inexpensive bang-around watch. But, the Casio Men's PAS410B-5V Pathfinder Moon Phase Hunting Timer Watch is a great digital watch choice for fishermen and hunters. 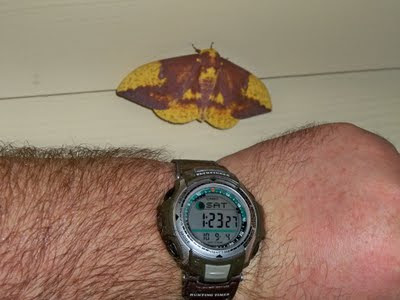 Casio Pathfinder Moon Phase Hunting Timer & Mothra! I think the Forester would be a great choice for an active kid who likes the outdoors. The more sophisticated Casio Pathfinder might be a great choice for an adult. Both watches are less than $30. Finally, don't forget the inexpensive version of the Casio Edifice! It has three subdials and a great stainless steel look for less than $40! You can now find it at Amazon.com! First of all, I would like to appreciate the choice of theme that you have chosen for your blog, it looks perfectly wonderful for Casio Lap Memory 120 Tough Solar Watch. 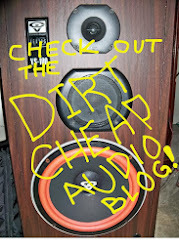 Now, coming on today's post I must say that you have explained the subject in a concise manner that makes it easily understandable. Thanks for this information.